Connect your cloud software to Alluxo and visualize data in minutes, not weeks. Find actionable insights about your revenues, expenses, and profitability. Never worry about CSV exports again. Understand where your revenue growth comes from. Display revenues by customer, product line, and region. Monitor your cost of goods sold (COGS) and operating expenses (OPEX) from any device, at any time. Gauge your profitability in real-time, without messy emails or CSV files. Track net income, EBITDA, and other profit metrics with ease. Track KPIs, OKRs, and business metrics in minutes. Drive real business results this month. Sign up for Alluxo today and get 10 charts free forever. Integrate your favorite business apps to Alluxo. Once connected, we keep your data in sync – saving you time and money. Build charts in seconds in our web interface. No code, no fuss. Say goodbye to CSV exports once and for all. 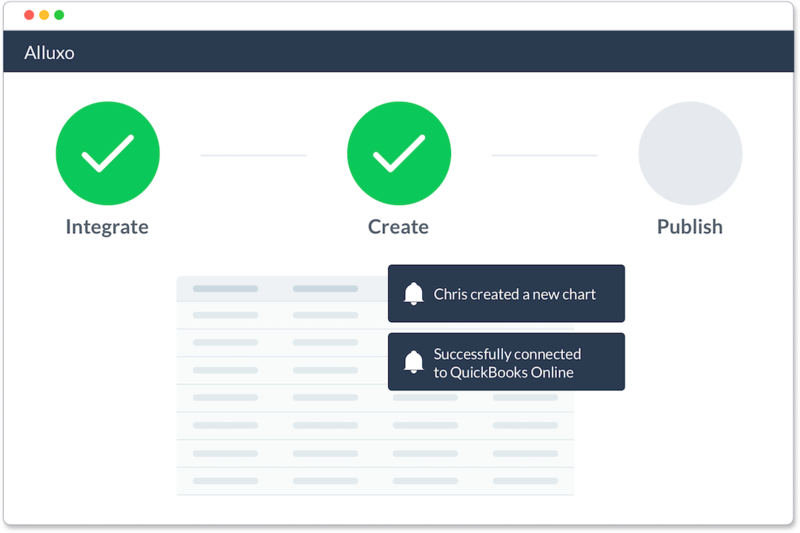 Create and publish custom business dashboards. Bookmark, email, and share dashboards with a simple link. Give your company and investors access to actionable, real-time data. Never worry about CSV exports again. 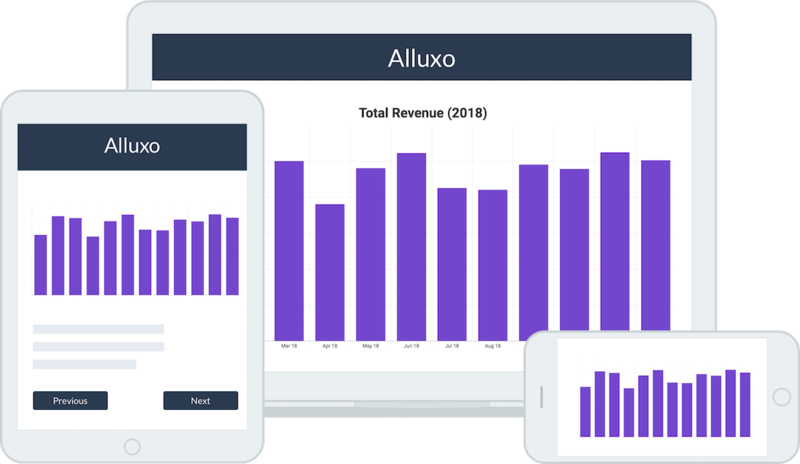 Sign up for Alluxo today and get 10 charts free forever. Track your Key Performance Indicators (KPIs) in an Alluxo dashboard, or create a detailed view for each metric. Hit your Objectives and Key Results (OKRs) every time. Pull up your OKR Dashboard anytime, anywhere. Business Intelligence (BI) dashboards can be simple. Any employee, technical or not, can now publish a BI dashboard. Organize your business analytics behind a single pane of glass. Welcome to better analytics dashboards. Design management dashboards in minutes. Our reports auto update, so there's one less thing to worry about. Replace meetings with our executive dashboard. Track revenue, expenses, gross profit, cash balance, and more. Get a snapshot of your business's health with Alluxo. Manage the books better while saving time each month. Visualize your finance data. Track key financial metrics including revenue, expenses, and balance sheet items. Sign up for Alluxo and automate your first report in minutes. Our product specialists are here to setup your account and answer your questions.